Devon Meadows Primary School principal Brendan McDonough was presented a scouts scarf by young scout Drew Dickenson. A newly refurbished 1st Devon Meadows Scout Group hall has been unveiled during a grand re-opening on Thursday 4 April. Established almost 100 years ago, the hall was in desperate need of urgent repairs to the roof and floor, due to extensive termite damage, Group Leader Barbara Cooper said. 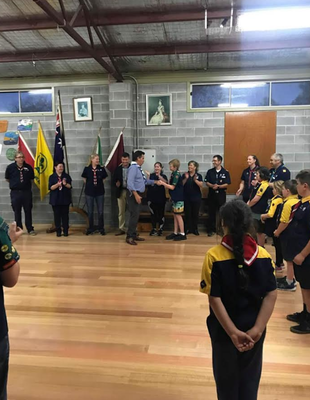 “The group had started to fundraise towards the $85,000 required when it received a grant from Scouts Victoria to kick start the building works and make the hall functional again for the group,” she said. 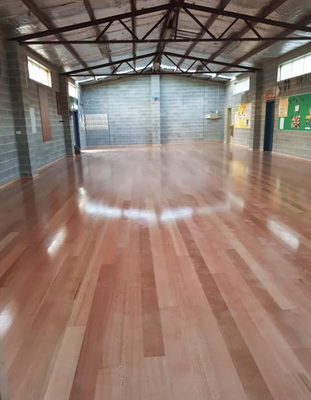 The group, which is located in the growth corridor of Devon Meadows, Clyde, Clyde North, Cranbourne South and Pearcedale, provides children with a safe place to learn and develop person skills thru camping, activities and learning, Ms Cooper added. 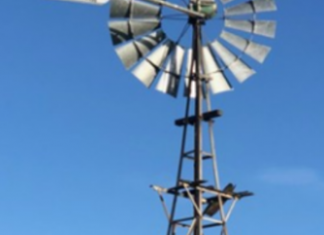 She said more than $100,000 in repair works was achieved thanks to the efforts of the community. 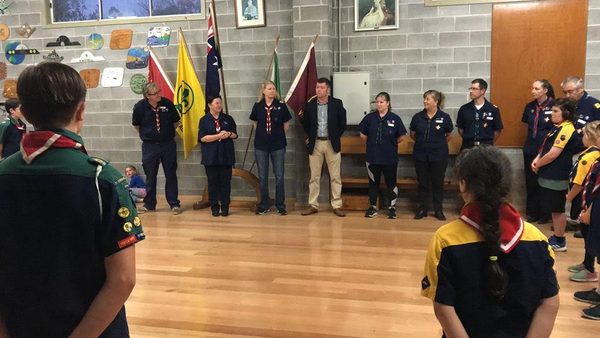 Devon Meadows Primary School Principal Brendan McDonough also attended the re-opening and was presented a scouts scarf by young scout Drew Dickenson.